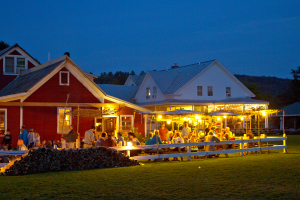 Experience a “Vermont Country Picnic” at Lareau Farm Inn. 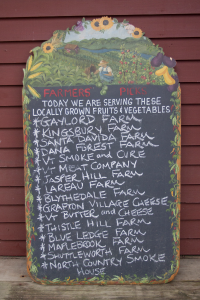 Welcome to Lareau Farm, home of the Lareau Farm Inn and the original American Flatbread Restaurant. 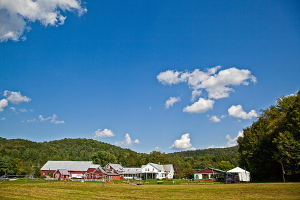 Situated on 25 acres along route 100 – a perfect place to visit a historical farm landscape that was one of the original settlements in 1794. 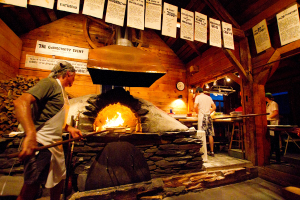 Our location is 30 minutes South of Waterbury, VT. Make this part of your loop while visiting Ben & Jerry’s, Cabot Annex or the Cold Hollow Cider Mill. 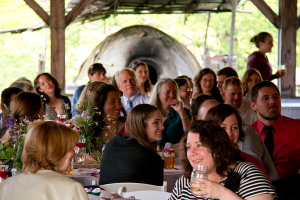 Large groups can enjoy our Barn pavilion featuring a stone kitchen complete with a wood-fired earthen oven, with space for 20-150 people and small groups will dine in the Inn. 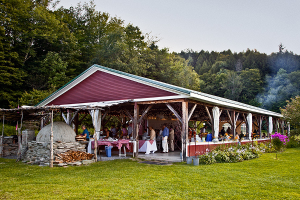 Enjoy lunch or dinner, a “Vermont Country Picnic” with locally grown salad greens, VT artisan cheese and delicious bread baked in the wood-fired oven, delectable homemade brownies, cookies or pies for dessert. 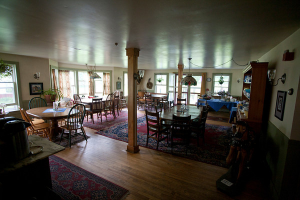 Guests can enjoy walking throughout the agricultural gardens, wooded trails and river vistas of the Mad River. 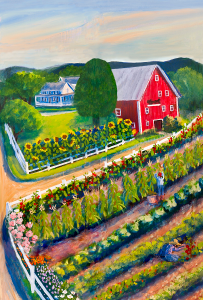 Experience the craftsmanship of a Vermont 1800’s dairy barn, while you enjoy art exhibits that are part of the Vermont Festival of the Arts, August through Labor Day, the Green Mountain Watercolor Exhibition — a magnificent juried exhibition of eighty paintings by sixty outstanding watercolorists; the only summer exhibition of its type in New England. 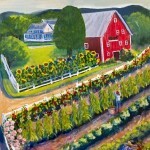 August 1st through Sept 4th is the Big Red Barn Art show, works that include paintings, monoprints and sculpture. Something for everyone! How about cooking with us! We love to work with groups on the essentials preparing good food. 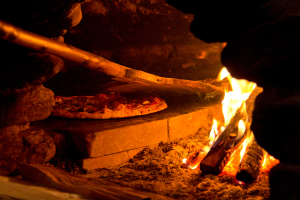 Experience making bread in a wood fired oven or making raspberry vinegar with freshly picked raspberries or learn how to perfect your vinaigrette. 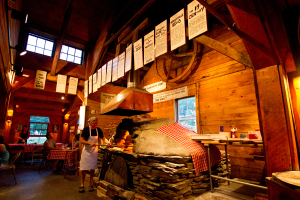 Restaurant and Inn: Year round. Dinner Thursday through Sunday open to the public. Lunch or group tours available by special arrangement. Group menus available. Call for details.